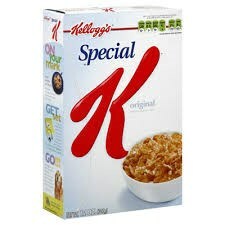 Special K is a lightly toasted breakfast cereal manufactured by the Kellogg Company. The cereal was introduced to the United States in 1956. It is made primarily from rice and wheat.